The baby diaper looks so boring with the plain white colour. You have a choice to make your baby have a better look by covering it with a baby diaper cover. The baby diaper cover available on the market also has a very basic design. 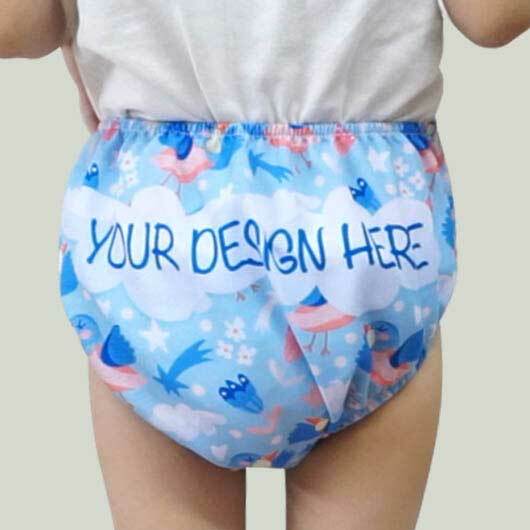 Luckily, you are in the right place to have a custom baby diaper cover. Finish your reading. 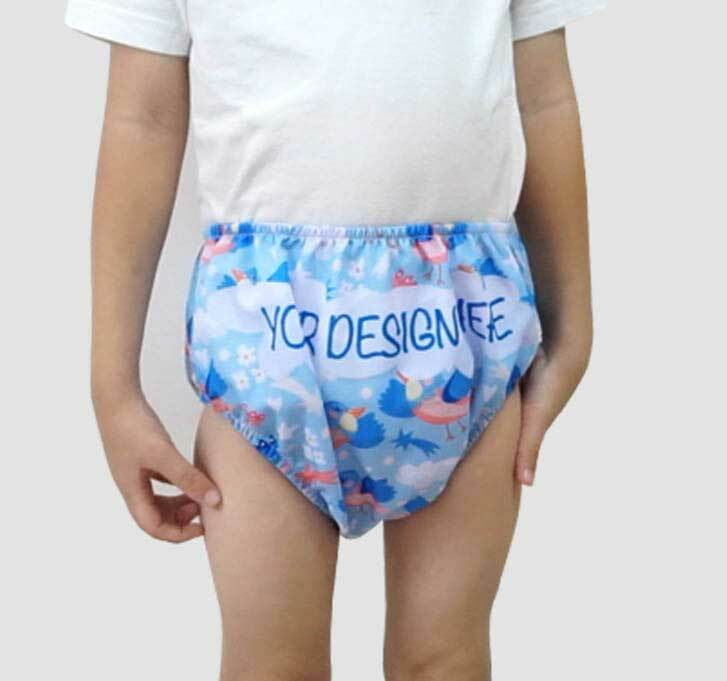 Baby diaper covers that we produce is made of high-quality material, Bowden - a doff colour fabric with base material made of 100% polyester, soft, thin, transparent, and falling follows the body. 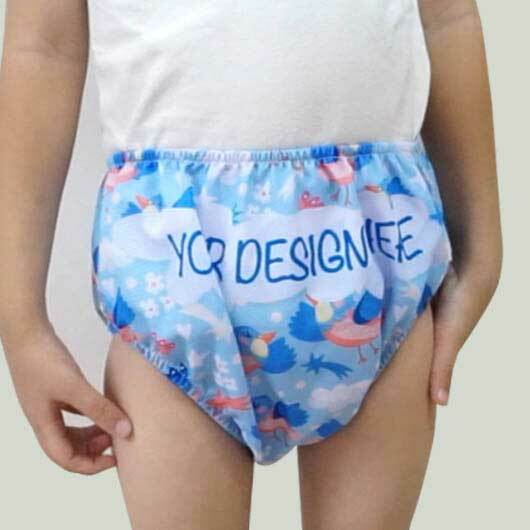 It is the most suitable material for making diaper cover and also safe for baby skin. Our baby diaper cover is customizable. 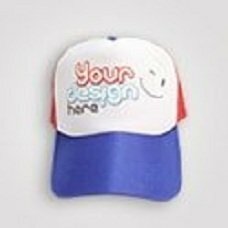 You may print the whole printable part of this item with your own favourite design. Simply upload your design and our professional team will handle it within such a quick process. 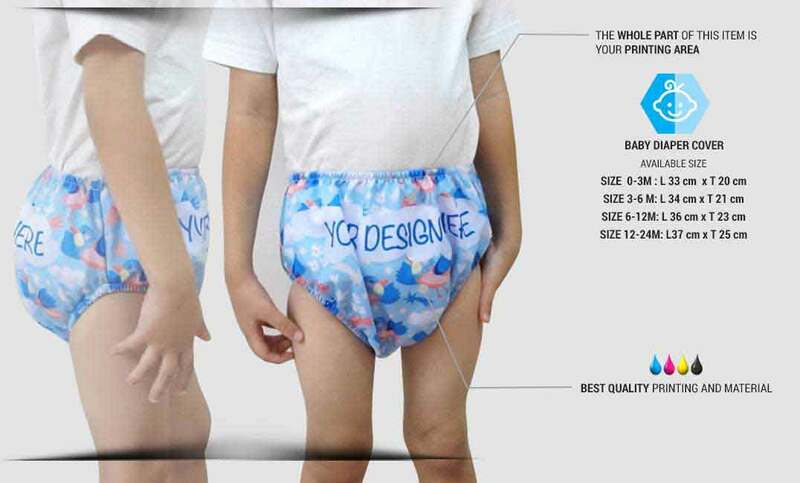 Order your own design baby diaper cover now!